Princess Motor Yacht Sales has unveiled its new shared-ownership programme. ‘YachtQuarters’ will give owners access to eight weeks on board the vessel each year, two in summer, four in the spring and autumn, and two in the off-season. Speaking to SuperyachtNews at London Boat Show yesterday, Henning Price – who is leading the initiative and previously worked as CEO of Princess Yachts Mexico – explains why this enterprise is distinctive from other schemes seen previously within the yachting market. “The difference between most fractional ownership programmes and ours, is that we manage and operate the boat 100 per cent,” he asserts. The first yacht in the programme will be a Princess 75 motoryacht and will be based in Port Adriano, Palma de Mallorca. Price cites NetJets, the aviation fractional-ownership scheme, as a business model akin to YachtQuarters. Whilst CEO of Princess Yachts Mexico, Price drove a similar ownership scheme, which was successful in the region. He argues that the positive outcome of these programmes is due to the modern lifestyles of many in the luxury sphere. 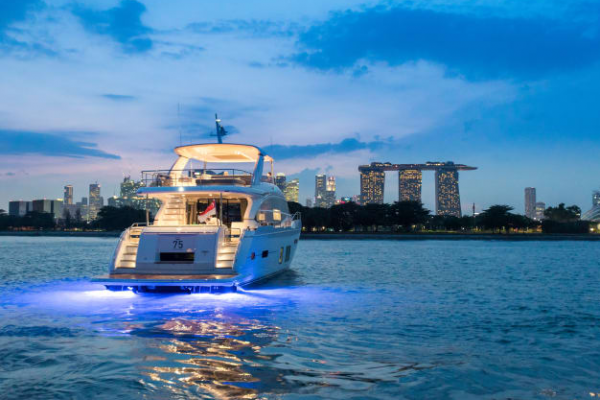 Those able to afford yacht ownership will often have a plethora of interests, and don’t necessarily wish to dedicate all their time and money to one particular activity. “A lot of people are busy. Instead of investing a lot of money in a yacht, where you will feel obliged to spend all your leisure time on board, it is better to invest in a share. This way, you still have time and resources to do other things as well,” he explains. Price also highlights the cost-effective nature of the initiative, explaining how the average charter price of a Princess 75 is 52,000 euros per week, whereas the cost of shared ownership is 32,000 euros per week. Any servicing or maintenance is shared equally among the four owners, with each individual being responsible for their food and fuel. “With a shared ownership, you don’t waste time or money,” he offers. At a time where the difficulties of bringing fresh blood into the industry is an undercurrent to many conversations, this method of ownership could be a way to engage with a previously untapped pool of clients. Price admits that, while there has been significant interest in the programme, Princess have not secured any owners as yet, but with the summer season on the horizon the brand is hopeful for a successful 2018. Do you receive a copy of The Superyacht Report? Click here to find out if you are eligible to a complimentary VIP subscription.